From their debut self-titled album, released nearly twenty years ago, Korn have come a long way and seem to only get better with age as shown in their most recent album, ‘The Paradigm Shift’, set to be released on October 8. After a compilation of critiques throughout the band’s existence for their unique nu-metal sounds and controversial lyrics, Korn’s eleventh album is a conglomeration of all of the reasons why they have accumulated such a diverse and loyal fan base that seems to keep growing. First of all, we need to start by saying how excited we were when we heard that Brian “Head” Welch was rejoining the band which really contributes to our appreciation of this record as a whole. Korn’s dynamic and uncommon sound is incomparable (and nostalgic of the 90s) so to have back a majority of the members that we know and love makes this album that much more highly anticipated by fans. 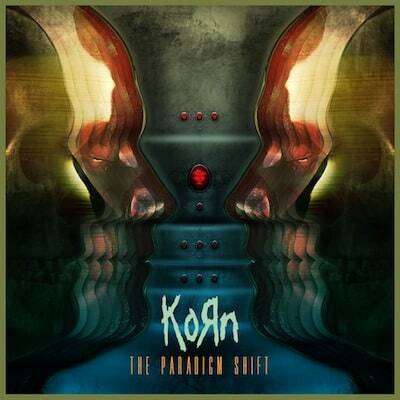 ‘The Paradigm Shift’ is a heavy and fast album from beginning to end in true Korn fashion and contains all of the elements of the band that we love; melodic, dark, twisted, heavy and completely captivating from start to finish. The album starts off with ‘Prey For Me’, a lyrically passionate track that is the perfect beginning with an instrumental intro from Ray Luzier on the drums, Munky and Head back together once again on guitars, all quickly joined by rocking bass lines from Fieldy. The unbeatable combination of these musicians plus the unforgettable vocals of lead singer Jonathan Davis makes us feel like we’ve just seen an old friend again after just one track. The tracks on this album have an incredible balance between heavy and melodic which is something that we love about Korn. Their ability to create such a diverse sound in not just an entire album, but one song at a time is more than impressive and not an easy task to do well. The band’s unique sound is heard especially in the record’s third track, ‘What We Do’, starting with the aggressive vocals of Davis which are quickly morphed into an enticing chorus. 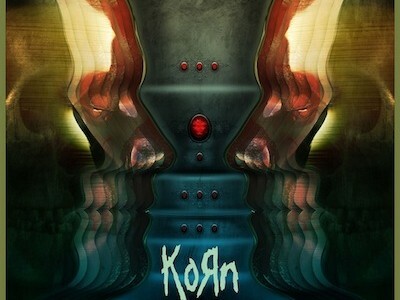 While the titles of the songs might portray mostly the heavy side of the album with tracks such as ‘Love & Meth’, ‘Spike In My Veins’ and ‘Lullaby For A Sadist’, Korn is a band that we have learned throughout the years, can never be judged without fully giving them a chance, and we are so glad we did. The album is brought to a close with ‘It’s All Wrong’ which is full of piercing electronic sounds from the beginning and the heavy sounds that are to be expected from the band. This album is not only what we expect and want from Korn, but more, more and more. Every track delivers a different message interweaved through Davis’ indignant metaphors and the impressive musicianship of Munky, Head, Fieldy and Luzier. ‘The Paradigm Shift’ makes us see Korn not in a different light, but a much brighter one that we can’t wait to see more of.